This cauldron of culinary magic forever banishes the ordinary in eating. 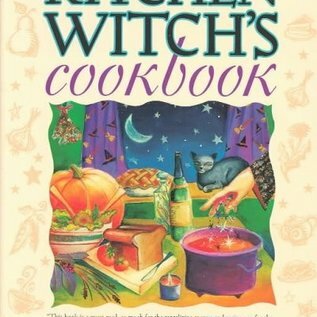 A Kitchen Witch's Cookbook by Patricia Telesco combines over 300 carefully selected recipes with bewitching information that will change your approach to cooking, whether you are the chef for yourself, your family, or a roomful of friends. A Kitchen Witch's Cookbook combines delicious and easy-to-make recipes that span the globe and the centuries. You can use these wonderful dishes for any occasion. You can use a different recipe almost every day of the year and not repeat. More than a listing of recipes, A Kitchen Witch's Cookbook enables you to use the foods you make to nurture your own magical goals or one provided in the book. Each ingredient's essential magical nature has been carefully considered and combined for a purpose. Here you will discover that apples are good to encourage peace, love, health, and earth magic, while apricots are ideal for romance. Brussels sprouts help in matters of endurance, tenacity, and stability, while horseradish can be used for protection or fiery energy. Over 110 foods are described, from alfalfa sprouts to yogurt. Mystical and magical lore peppered throughout this book includes how your kitchen utensils are magical tools. A Kitchen Witch's Cookbook is about making every aspect of your life magical. If you follow a spiritual way of life, or if you just like good food, get this book. Mercy Bread from Arabia. Oat apricot muffins for forgiveness rituals. Mustard Sauce of Valor for fire festivals. Apricot Fricassee for initiation rituals. These are just a few of the 300 recipes you'll find in A Kitchen Witch's Cookbook by Patricia Telesco. More than a collection of recipes, A Kitchen Witch's Cookbook weds modern ingredients and utensils with potent traditional preparations for a truly magical resource. 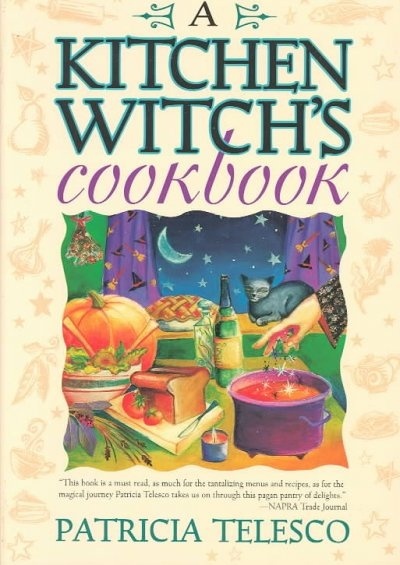 Whether in the sacred space of the hearthstone, or anywhere cooking takes you, your meal preparation experience can be both creative and consuming as you sample the helpful hints, superb resources, and fascinating lore in A Kitchen Witch's Cookbook. From food preparation to mealtime presentation, the goal of this book is to make your world more magical. You'll learn measurement conversions, alternative ingredients, magical correspondences with foods, and appropriate dishes for a wide variety of rituals, celebrations, and festivals. A Kitchen Witch's Cookbook provides step-by-step instruction for transforming meals into manifestations of your magical life. Get your copy today.